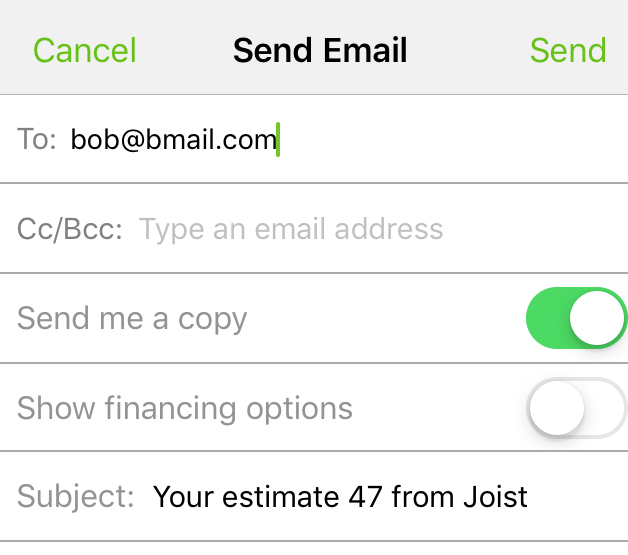 Joist can deliver your estimates and invoices to your clients by email, which we send on your behalf from a special email account on our end. The email is setup in a way so that if the client replies, the reply will go to your email account. But the original email would not be from your email account, so you won't find it in your sent mail folder. You can, however, choose to have the same email you send to your client sent to you as well, so you'll always have a copy in your inbox. Just turn on the Send me a copy option on the email sending screen, and you'll be good to go.